NEXT TAB MEETING: June 7, 2014 1 p.m. The MSBPL TEENZ blog is now the home of all TAB member and Teen Writer’s Circle content from the Mary S. Biesecker Public Library in Somerset, PA. This site will pretty much include whatever is on the mind of our TAB members. There will be the occasional contest as well. We hope you enjoy this site and tell your friends about it. 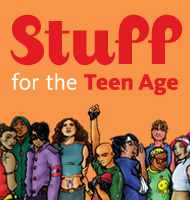 The Mary S. Biesecker Public Library’s Teen Advisory Board(TAB) meets every month. The meeting lasts for about an hour and refreshments will be served. TAB is always open for new members. Just come in and pick up an application, then fill it out completely and bring it in. Or print out a copy (Click here), fill it out at home, and then bring it back to the Library. If you are a teen and you would just like to come and sit in on our meeting no sign up is required, just call and let us know your coming so that we have enough snacks. If you would like to see what we have done or what we are going to do check out the Meeting Minutes and Agenda page.